Jako hlavní motiv jsem ale nakonec vybrala fotografii malého chlapečka, jehož námořnický obleček mě prostě inspiroval k výběru "námořnických" ozdob. Oceňuju, že se dokážeš od těch všech kytiček oprostit a udělat to prostě jiný! This is such a cute card. Love the naval theme with the old photo. So glad you joined us at Cardabilities. Awww what a sweet image and fabulous take on our sketch! Love the nautical theme! Great job! Thanks so much for joining our challenge at Cardabilities! We hope you’ll join us again real soon! Good Luck! Gorgeous card! 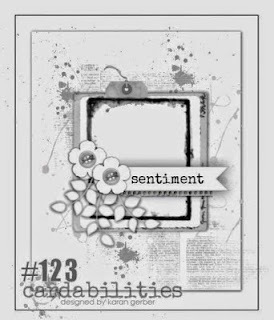 I love the sweet image you have used, thanks for joining in with Cardabilities! So pretty! Love the color! Thanks so much for joining our challenge at Cardabilities! This is really cute and i love all the sailor themed things that you found for it. Thank you for sharing it with us on the Cardabilties challenge for this month and hope to see you again soon.